Wellness & relaxation massage in Lacey & Olympia, WA. Call (360) 701-4183 now to schedule your appointment! Massage Gift Certificates available online. Massage Services and Rates – click here. Are you looking for an accomplished massage therapist in the Lacey/Olympia area? One that can help you to relax, get rid of stress, alleviate chronic pain, and feel rejuvenated? Then you’ve found the right person! And I offer a 100% Satisfaction Guarantee! 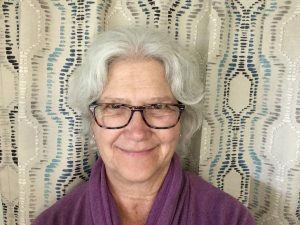 My name is Becky Lundin, and I have been a Licensed Massage Therapist (LMT) in Washington State since 1994, and a Reiki Master since 1998. Your comfort and wellness is my top priority! “Massage can benefit health in many ways. It can reduce heart rate, blood pressure and levels of stress hormone, enhance immune function, boost levels of endorphins and serotonin (the body’s natural pain killers and mood regulators) and increase blood circulation – all this while easing sore and achy muscles.” – Andrew Weil, MD. Within the pages of this website, you will find information on massage therapy, aromatherapy and essential oils, and other health related issues. While many people are interested in the different styles and modalities of massage, I think it is more important for you to know what your purpose is for receiving massage therapy. Are you looking for a great relaxation massage, an escape from the demands of your busy life? Are you interested in the cumulative health benefits of regular wellness massage? Do you have various body aches and pains, but not necessarily an injury? Do you have a chronic condition that has been resistant to treatment? Or do you have a specific injury that needs attention? All of those can be addressed with massage therapy! Call (360) 701-4183 today to book your appointment! At Lacey Massage Therapy, your comfort is my top priority. Your needs and concerns will be listened to. Over the 20 years that I’ve been giving massages, I’ve learned many different techniques to meet your individual needs. While I specialize in relaxation and wellness massage, I am able to work with your specific injuries, as well. You can read some testimonials from clients on my Massage Testimonials page. You can click on my Services and Rates page to find my current massage specials, options and pricing. Questions about massage? I have added a lot of information on my Massage FAQ’s (frequently asked questions) page. It should answer most of your questions about receiving a massage. If you have a question that I didn’t list on that page, please use my contact form to send me your question, and I will answer that for you. Can Massage Reduce Inflammation in the Body? Tips for surviving holiday stress! Most of the links on this website are affiliate links. If you click on those links, and then make a purchase, I may receive a commission on that sale. Read my full disclosure statement here.